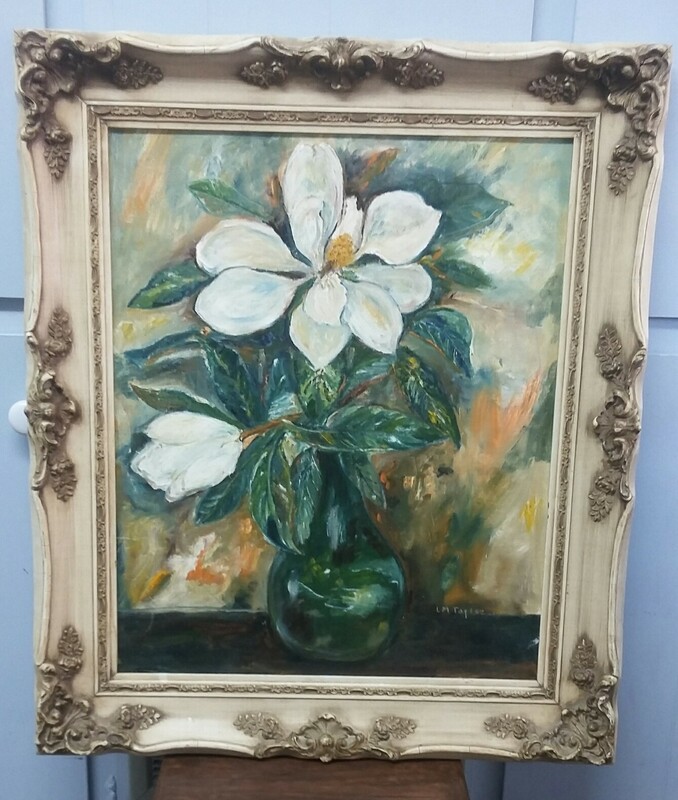 Place your bid today for this gorgeous painting by the late Lady Mary Taylor, still in the original frame, in the accompanying photograph. The auction is underway through July 31. The winner of this original artwork will be announced Aug. 1, 2016. The reserve bid for this artwork is $200. All proceeds from the auction will be given to the Faulkenbery Adoption Fund, helping John and Leslie Faulkenbery of Eupora to adopt a son named Ty from the country of China. The Faulkenberys still need to raise about $16,000 before their adoption can be finalized. Lady Mary and Elks Taylor owned Taylor Department Store on the corner of South Dunn Street in downtown Eupora for many years. They attended First Baptist Church for 50 years, and were actively involved in all areas, including missions. But Lady Mary still found time to enjoy the beauty around her and express herself through her artwork. “We know Lady Mary would have loved that some of her artwork could be part of this international adoption fundraiser,” said Jo Faulkenbery, who donated the painting given to her in 1995, not many years before Lady Mary’s passing. Proceeds from the auction of this painting by the late Lady Mary Taylor will go to the Faulkenbery Adoption Fund. For more information about the Adoption Auction Fundraiser, find our Facebook group or contact Gwen Sisson at the First Baptist Church office at 258-3491.